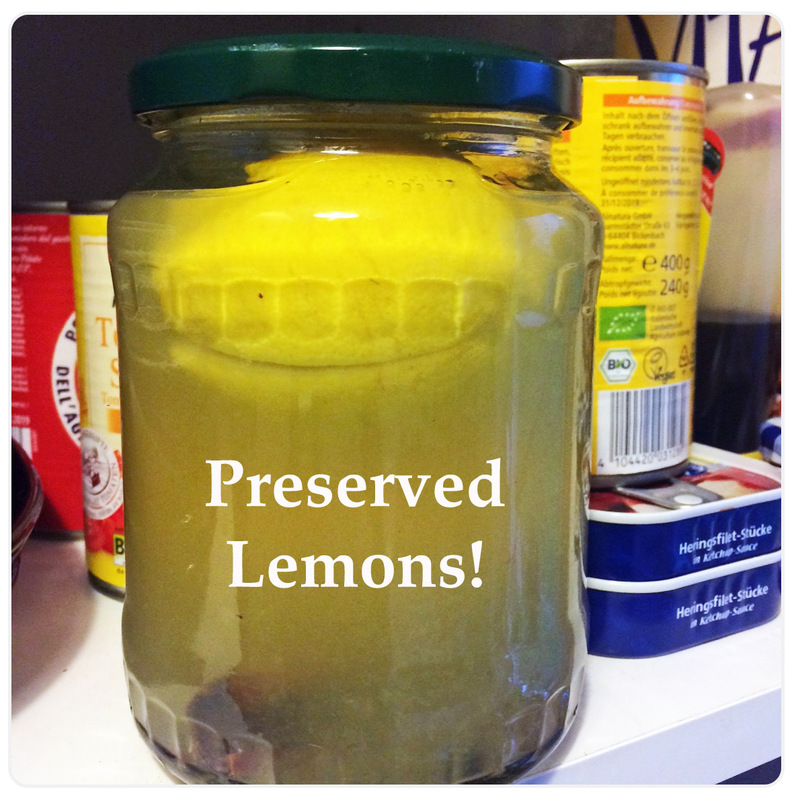 Preserved lemons are said to be absolute flavor bombs! Lately I saw tons of recipes using them – especially in extremely delicious sounding stews. So I finally decided to give it a try and to preserve some lemons myself :). Ingredients: Makes two jars á 500 ml. 8-10 unwaxed lemons, 200 g coarse sea salt, 2 fresh bay leaves, 10 black peppercorns, 2 cinnamon sticks, water. Squeeze the juice from 4-5 lemons. Cut a deep cross into the top of the remaining lemons. 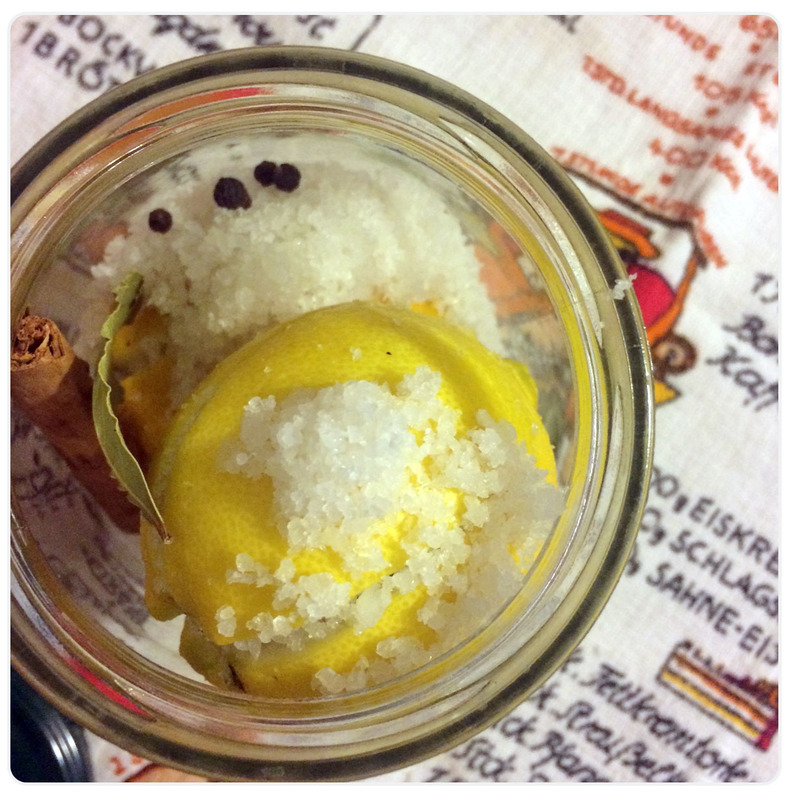 Pack a teaspoon of salt into the cuts of each lemon and put them into the sterilized jars. Add one cinnamon stick into each glass, as well as one bay leave and five peppercorns. Distribute the lemon juice between both jars and top up with boiling water. Seal up the jar and leave it for a month in a dark space. Give the jar a gentle shake every couple of days to move the salt around. After a month the lemons are ready for usage. 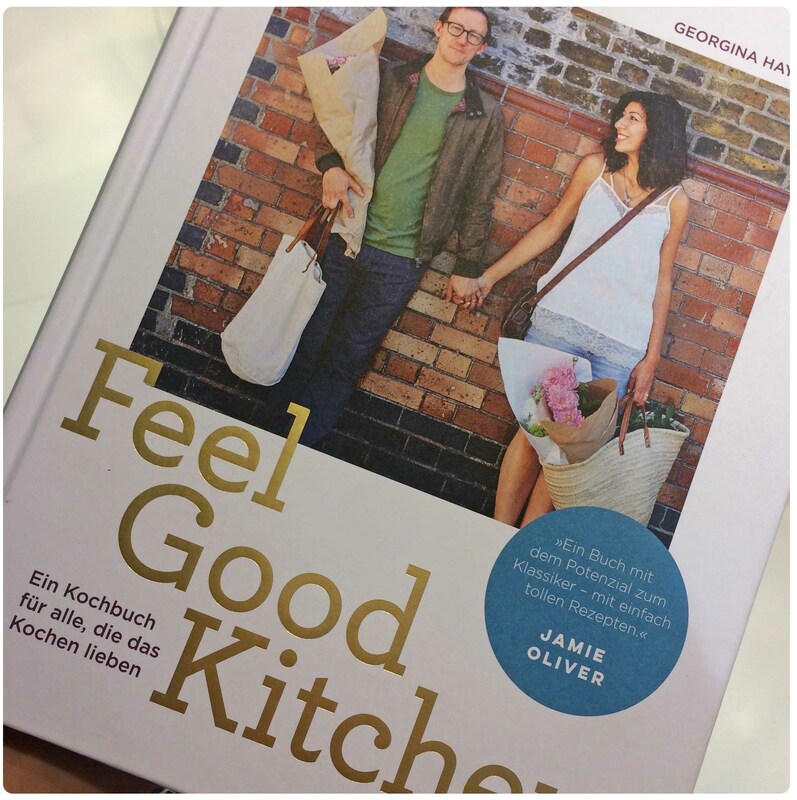 One of my favorites: Feel Good Kitchen (Stirring Slowly) by Georgina Hayden. All pics by Franzi. Every year when I am at the Frankfurt Book Fair I bring home a lot of new book wishes – and most of them are always cookbooks. Here are some of my favorites I found this year. Lucky me, X-Mas is not too soon now ;). Have a wonderful (and tasty) week! 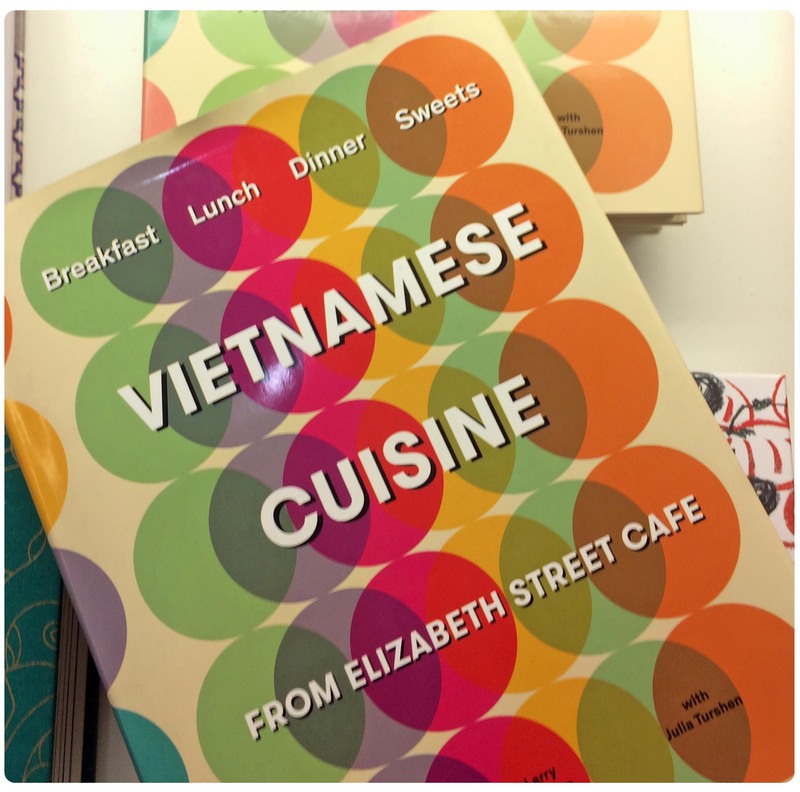 The cookbook that really convinced me on a second glance: Vietnamese Cuisine from Elizabeth Street Cafe. 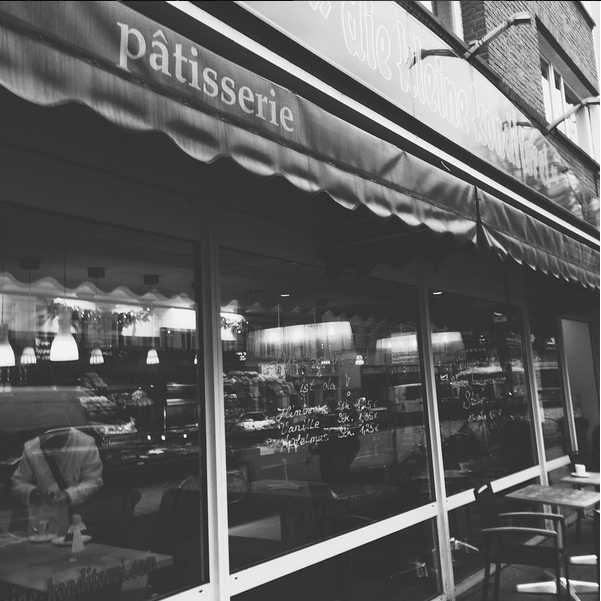 Peek inside: The recipes are French-inspired and look really fancy and delicious! 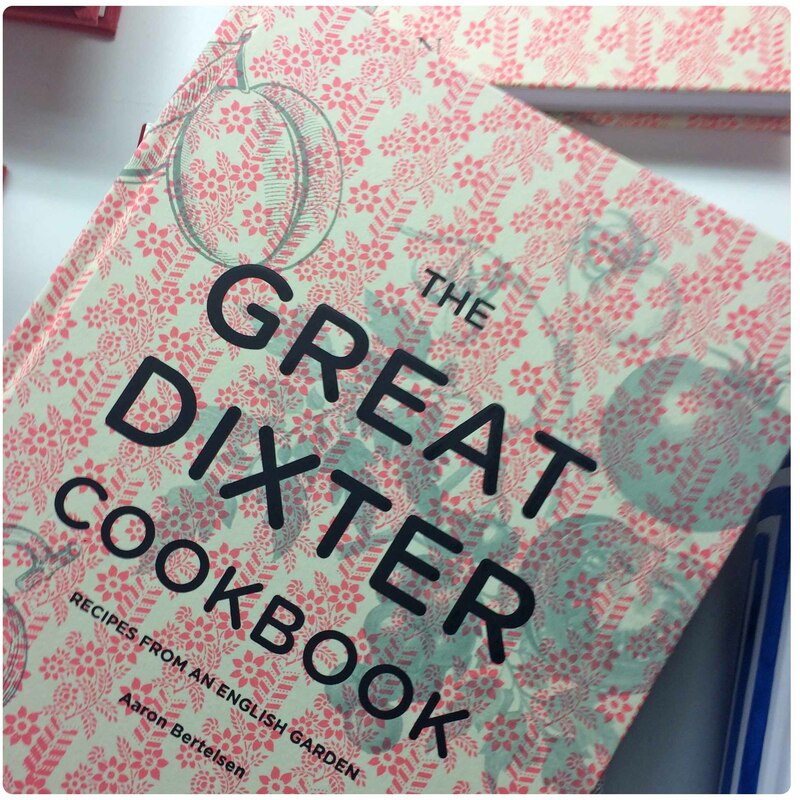 The Great Dixter Cookbook – Recipes from an English Garden by Aaron Bertelsen features seasonal recipes. 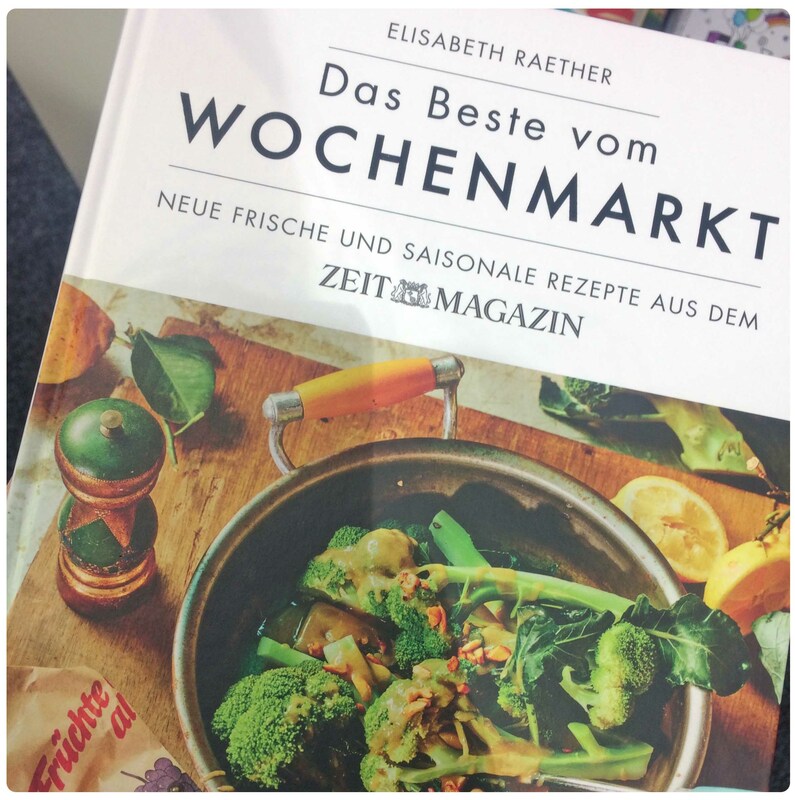 Das Beste vom Wochenmarkt by Elisabeth Raether (available only in German: “The Best from the Farmers Market”) – A collection of the fresh and seasonal recipes regularly featured in the German ZEITmagazin. The last days offered typical fall weather: storm and rain, but also some sunny hours. What could be better than arriving home at such days and enjoying a thick, tasty and warm soup? 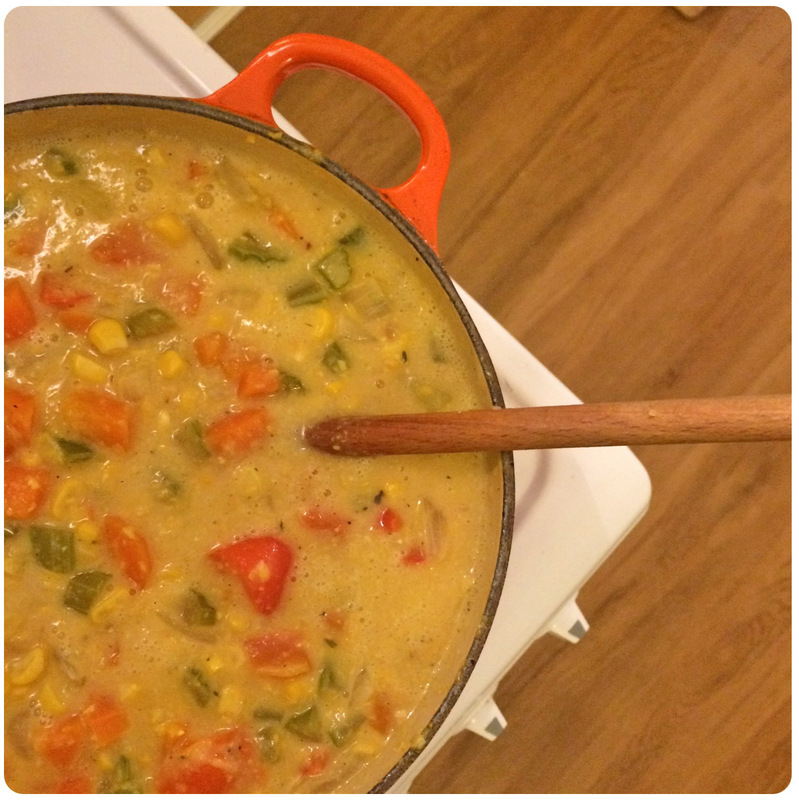 For me, this golden corn soup is pure comfort food love. 4 corn cobs (shucked), 2 potatoes (peeled), 3 TblSps coconut oil, 1 white onion (diced), 1 garlic clove (minced), 3 carrots (peeled and chopped), 3 stalks celery (chopped), 1 red bell pepper (cored and chopped), 1 1/2 TSps salt, 2 TSps Cajun seasoning, 1/2 TSp paprika, 1/4 TSp ground cumin, 160 ml coconut milk, 480 ml vegetable stock. Place corn cobs into a large pot and fill the bottom with water. Place a steamer basket in the pot. Add the corn and cover the pot with a lid. Bring the water to a boil, then simmer it for 8 to 10 minutes. Use a pair of tongs to take the corn out of the pot, and transfer it to a cutting board. Chop one of the potatoes in half and carefully place into the same pot of boiling water you used to cook the corn. Allow potato to cook until soft, about 10 to 15 minutes. While the potato is cooking, roast the rest of the vegetables: Heat the coconut oil in a large pot, than add the other diced potato, the onion, garlic, carrots, celery, bell pepper, sea salt, Cajun seasoning, paprika and cumin. Roast for app. 10 minutes. Use a knife to remove the corn kernels from the corn cobs. Blend half of the kernels, along with the cooked potato, the coconut milk and the vegetable stock until completely smooth. Add the remaining corn kernels to the pot with the roasted vegetables, and pour the blended corn/potato mixture into the pot. Bring to a gentle boil and cook until potato has softened, about 10 to 20 minutes. 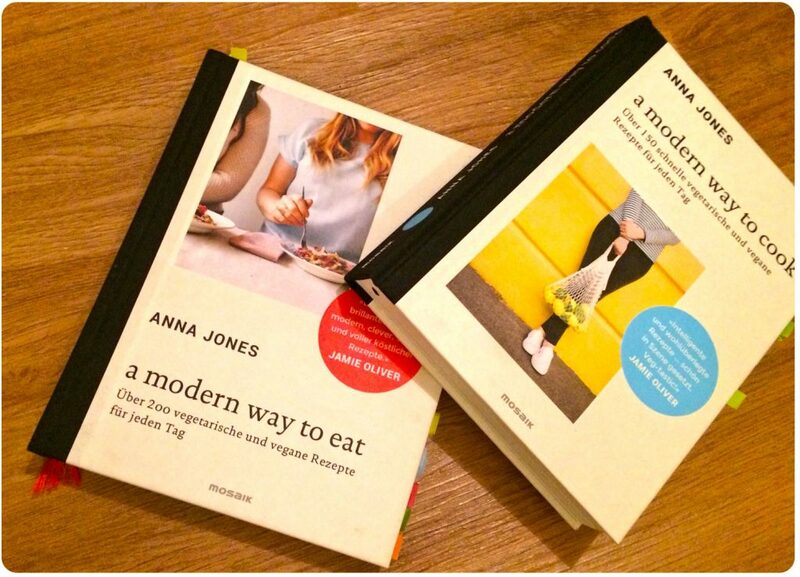 Two Cookbooks I Love: a modern way to eat & a modern way to cook by Anna Jones! Today I would like to present you two current cookbook favs of mine: a modern way to eat and a modern way to cook. Both are written by Anna Jones – a cook, stylist and writer. The books are a wonderful collection of vegetarian recipes that are not quite ordinary but easy to prepare and totally convenient for everyday. 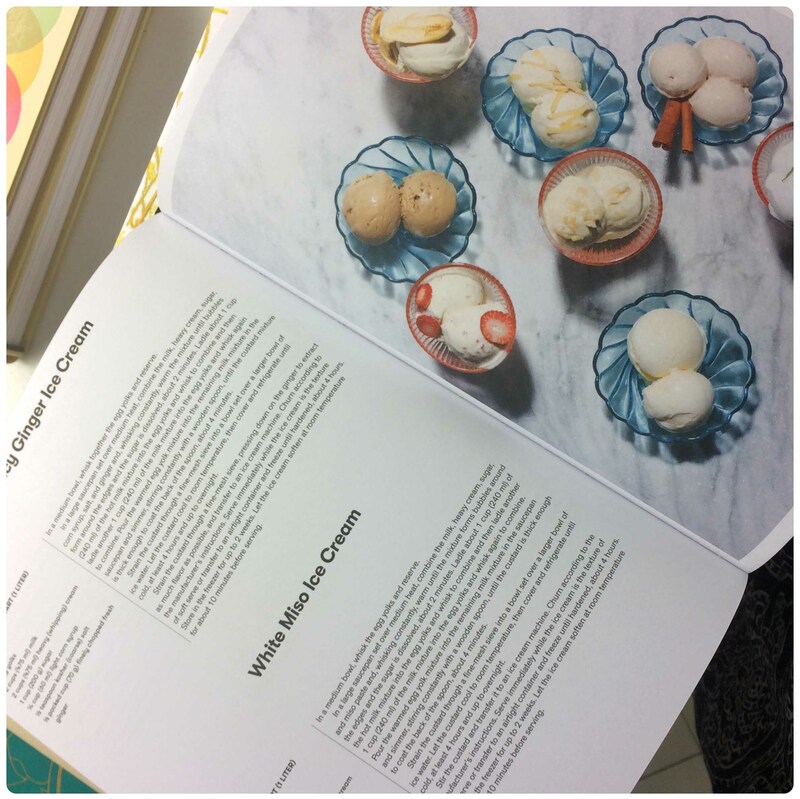 Plus, every recipe is accompanied by a little story told by Anna Jones: Why and how she did create the recipe in the first place, at which season it should be served or she gives some clever tips regarding the preparation. I have the German versions of the cookbooks – simply because those books are printed on apple paper (yes, that’s indeed paper made from apples). I just think that’s wonderful – not only because it’s sustainable, but also because it looks and feels really beautiful. 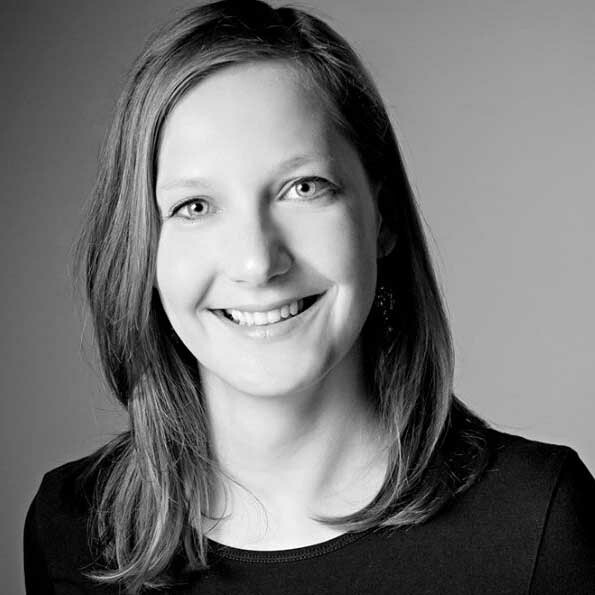 Two weeks ago, Anna Jones announced her third cookbook – its name will be The Modern Cook’s Year and it will be released (in English) on October 5, 2017. Yeah :)! This dish tastes like made in an Indian restaurant (at least in my world). I made it already several times – especially for guests. It’s easy to prepare (but takes some time) and always gets lots of praise :). 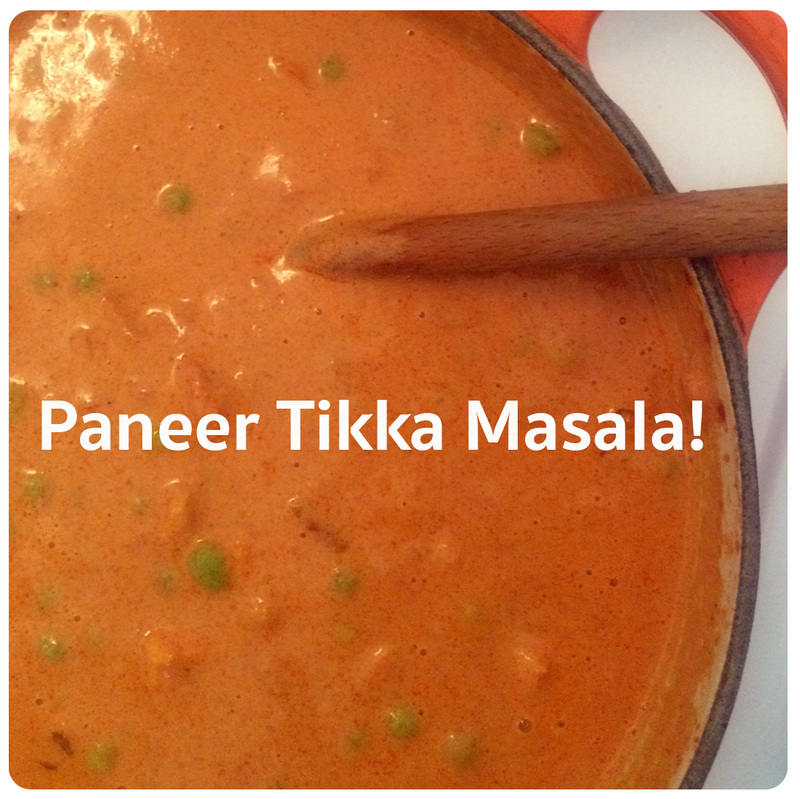 You can make it either with paneer (an Indian fresh cheese that’s available in good-sorted Asian stores or you prepare your own home-made cheese), or alternatively use tofu, which tastes nearly as good as paneer in this Tikka Masala. 2 TblSps coconut oil for frying, 250 g paneer or tofu (cut into cubes), 3 TblSps olive oil, 1-2 garlic cloves (smashed), 1 diced onion, app. 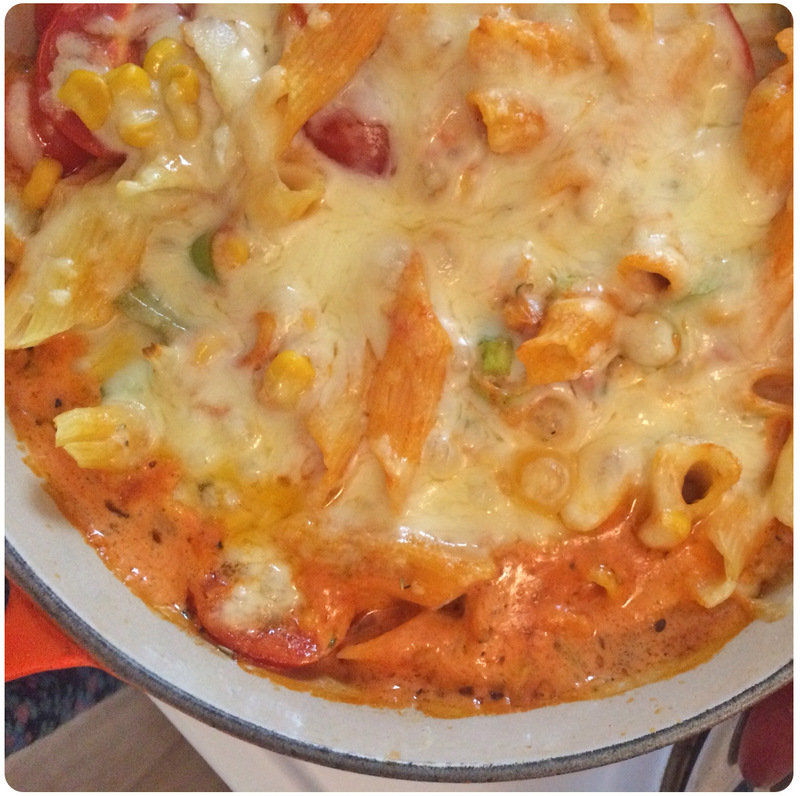 60 ml tomato paste, 2 TSps ground cardamom, 1/2 TSp pepper flakes, 2 TSps minced ginger, 2 TSps ground turmeric, 1 TSp garam masala, 1 TSp ground coriander, 1 TSp ground cumin, 800 g whole peeled tomatoes (tinned), 500 ml heavy cream, 450 g frozen peas, salt. Heat the coconut oil over medium-high heat in a big cast-iron pot. Fry the paneer (or the tofu) until it is golden-brown (2-3 minutes on each side). Remove to a paper-towel-lined plate to drain. Discard the oil. Heat the olive oil in the same pot. Add the smashed garlic, the minced onion, the tomato paste, the cardamom and pepper flakes. Roast, stirring often, until the tomato paste has darkened and the onion has softened (about 5 minutes). Add the rest of the spices (ginger, turmeric, garam masala, coriander and cumin) to the pot and roast, stirring constantly, until the bottom of the pot begins to brown (about 4 minutes). Add the tomatoes with their juices, crushing the tomatoes with your hands while you add them. Bring to a boil and then reduce the heat to a simmer, stirring frequently and scraping up any brown bits. Cook until sauce thickens (about 8 minutes). Add in the heavy cream, the paneer and the peas. Season to taste with salt. Simmer, stirring occasionally, until slightly thickened (15-20 minutes). Serve with rice. 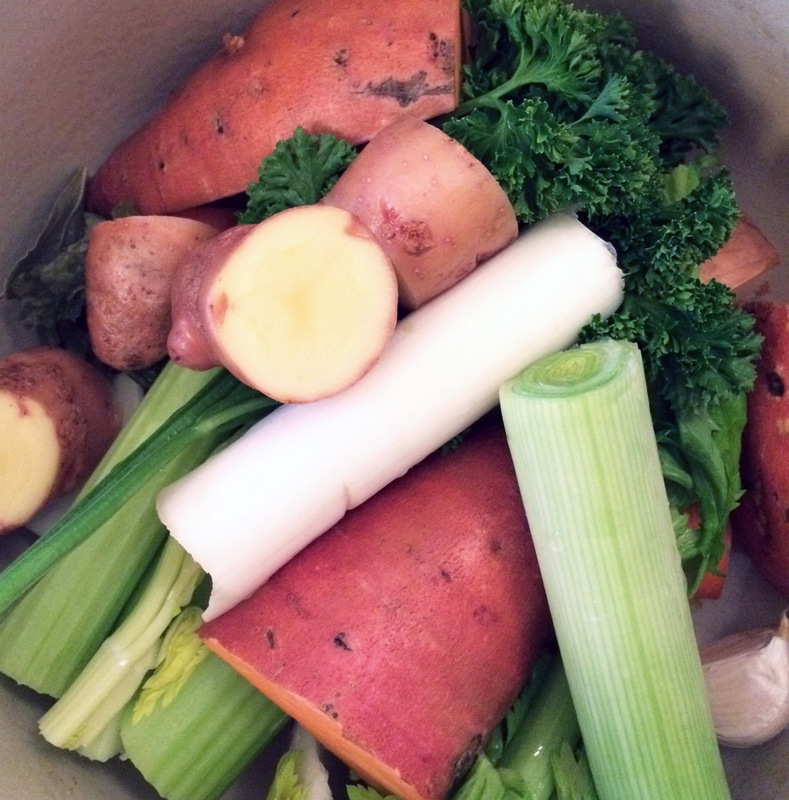 Did you ever prepare your own vegetable stock? I have to admit that up until now I always used vegetable stock powder. It’s simply convenient. But then I was inspired by Rebecca Katz’ book Clean Soups and prepared a laaarge pot of vegetable stock – with a ton of fresh vegetables I actually had to carry home ;). Apart from this and the time it takes to prepare homemade stock it’s also quite convenient to use. Once you have a bottle of fresh stock in the fridge, you can use it right away. And the best: You really know what it contains! 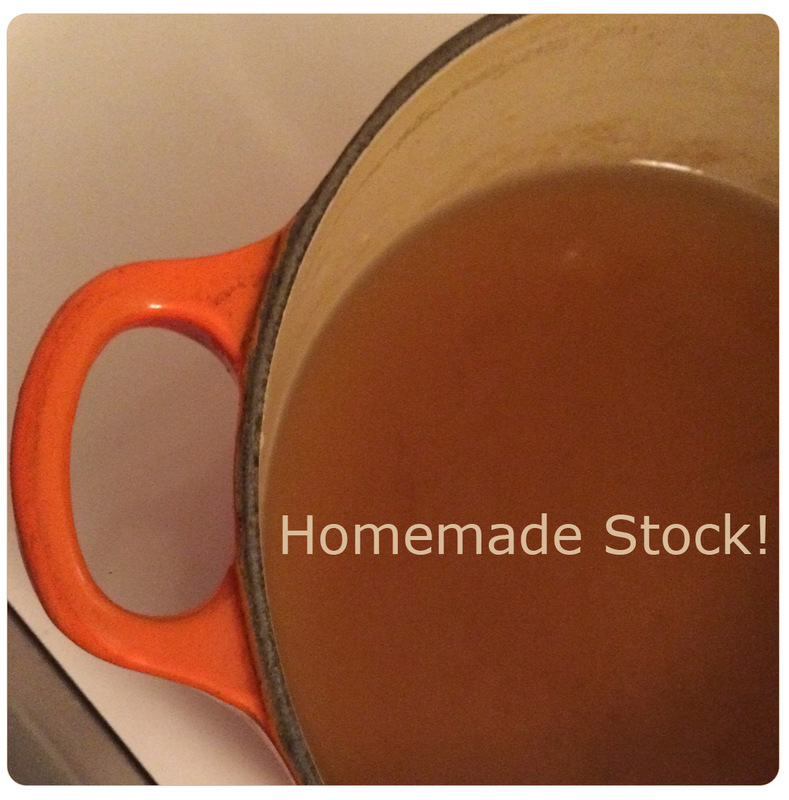 I will definitely prepare more homemade stock in the future! Recipe: Makes app. 2,5 – 3 l.
4 unpeeled carrots (cut into thirds), 1 unpeeled yellow onion (quartered), app. 50 g leek (cut into chunks), 1/2 bunch of celery (cut into chunks), 2 unpeeled red potatoes (quartered), 2 unpeeled sweet potatoes (quartered), 2 unpeeled cloves garlic (halved), 1/4 bunch parsley, 1 TblSp dried seaweed salad, 6 black peppercorns, 2 whole allspice berries, 1 TSp salt, 1 bay leaf, 4 l water. Rinse all of the vegetables well, soak the seaweed. In a large pot, combine the carrots, onions, leek, celery, red potatoes, sweet potatoes, garlic, parsley, seaweed, peppercorns, allspice berries and the bay leaf. Add the water, cover, and bring to a boil over high heat. Decrease the heat to low and simmer, partially covered for at least two hours. 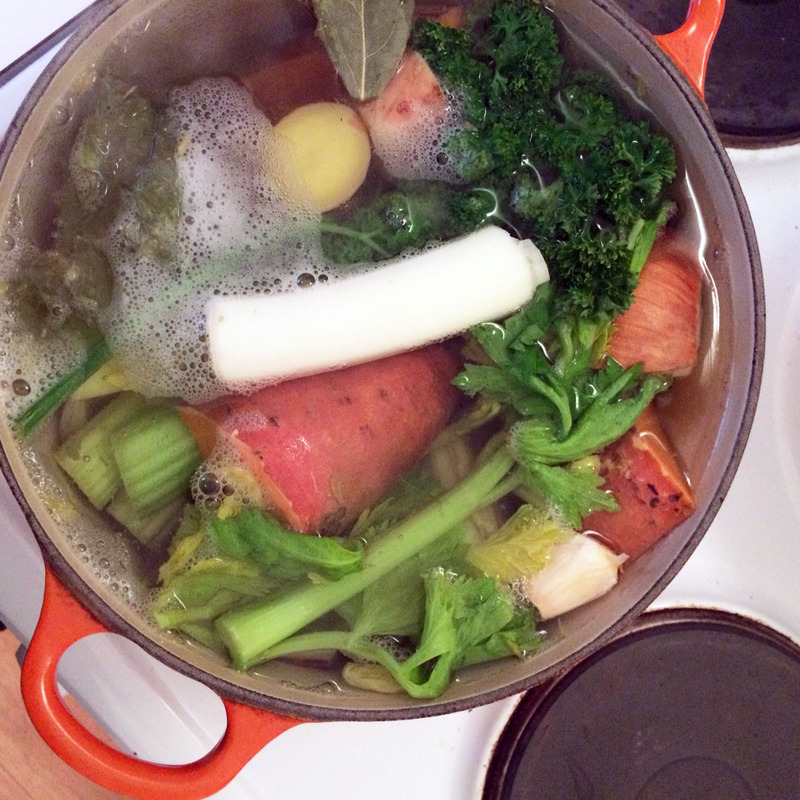 Then turn off the heat and let rest the vegetables in the stock over night at room temperature. Strain the broth through a large, coarse-mesh sieve or a colander. Discard the solids. Stir in the salt. Refrigerate or freeze. Store in the fridge for up to five days or in the freezer for up to six months. New Year’s Resolution IV: Cook Foreign Dishes! Pic by Franzi. Instagram @luckmysocalled. My fourth resolution for 2017 is an easy one: Cook more foreign (gluten-free) dishes. I already promised my special someone, that we will cook every month another dish from his new The Nordic Cookbook (my X-Mas gift for him). Moreover, I read some exotic books lately, describing mouth-watering dishes from Mexico and Japan, that are still on my to-do list. So, more foreign cooking next year! Have a delicious Tuesday :)! If you are interested in putting ads on My so-called Luck feel free to email me for details. A vegetarian classic that works perfectly as Christmas dish! 250 g mixed nuts, 100 g shallots (diced), 400 g minced tomatoes, 3 eggs, 150 g Gruyère cheese (grated), 1 TSp fresh thyme, 2 TSps fresh sage (minced), 1/2 TSp dried mint, 1 TSp yeast extract (dissolved in 1 TSp hot water), 1 TSp lemon juice, salt, pepper. Roast the nuts without fat in a pan until they are golden brown. Mince the nuts in a kitchen machine (or like us in a smoothie maker). Prepare your baking tray with baking parchment and grease it with some butter. In a big bowl, mix nuts, shallots, tomatoes, eggs, cheese, herbs, yeast extract and lemon juice. Season with salt and pepper. Pour the mixture into the baking tray. Bake for app. 50 minutes at 180°C. 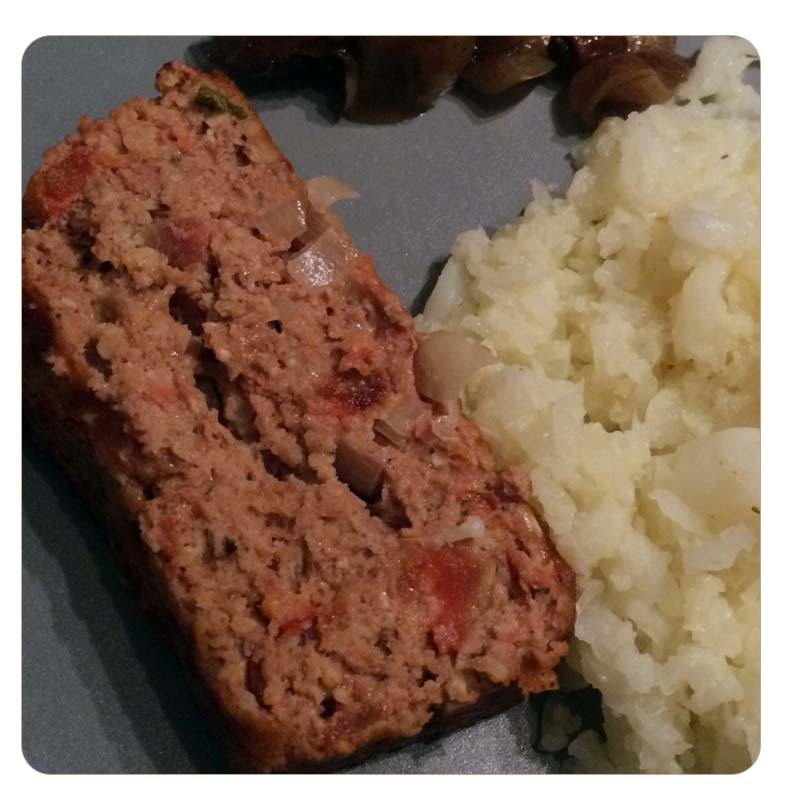 Serve with tomato sauce – or, like we, with mashed cauliflower and onion jam. 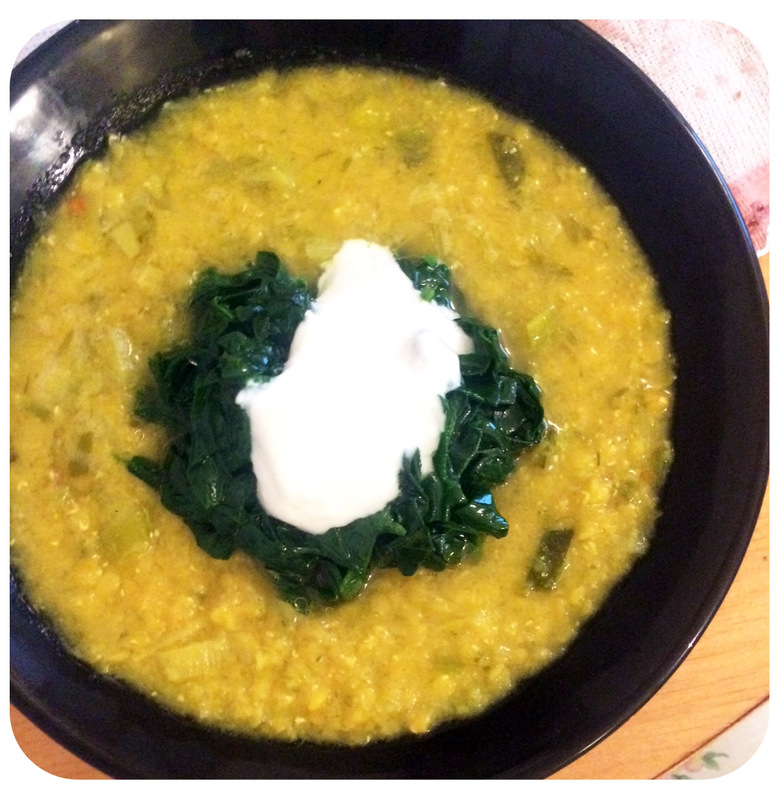 Red Lentil Soup with Lemon & Kale! A warm creamy red lentil soup, seasoned with lemon juice and topped with kale: The perfect winter dish with a certain taste of summer (lemon flavour!). 4 handful of kale (washed and cut into slices), olive oil, 1 leek (washed and cut into thin rings), 1 TSps turmeric (grounded), 2 TSps cumin (grounded), juice from 2 – 3 lemons, 250 g red lentils, 1,5 l vegetable stock, yoghurt. Melt the oil in a big pot. Add the leek rings and roast until tender. Roast for 3 more minutes, then add vegetable stock. Add turmeric and cumin, roast shortly, then add juice from 1 lemon and stir. Afterwards, add lentils and vegetable stock. Cook for app. 25 minutes. Blend the soup until you reach a creamy texture. Add the rest of the lemon juice. Shortly sauté the kale in some olive oil. Serve soup, topped with kale and some yoghurt.